Almost three years ago, at the request of Dusty Sang, I wrote my first Detroit article for Stay Thirsty Magazine. At the time, Donald Trump had not yet declared his candidacy for the Republican nomination for President. Brexit was not yet a term in common coinage. Mark Zuckerberg and Facebook could still do little wrong. The changes since have been profound and dizzying. From the local perspective, the past three years have also brought great change to the City of Detroit. At the end of 2016, we could actually claim 3,000 more residential connections with DTE (Detroit Edison) than existed at the beginning of the year, starting to reverse two full generations of population decline. National publications were hailing the city as a food mecca and a tourist’s delight. 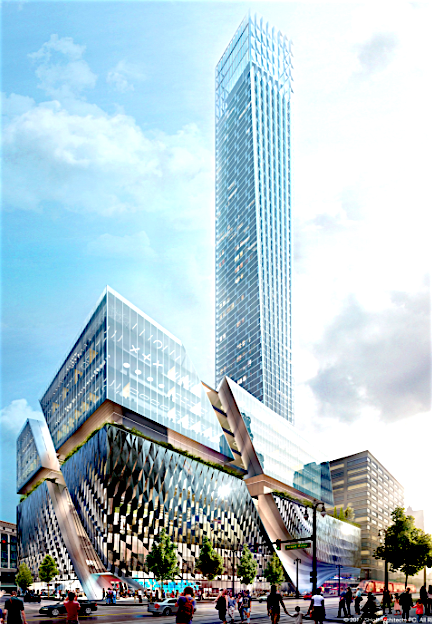 Just months ago, Quicken Loans chairman and real estate mogul Dan Gilbert broke ground on a 70-story tower on the site of the old Hudson’s department store, some 20 years after the hulking brick structure was imploded. All these changes were unimaginable in December of 2014, when the city emerged from bankruptcy. For those not in the know, today Dan Gilbert is Mr. Detroit. The founder and CEO of Quicken Loans, he also owns the Cleveland Cavaliers, dozens of other companies and has purchased 100 buildings in Detroit’s Central Business District (CBD). He has brought 17,000 jobs into the city. His appetite for Detroit real estate appears to be insatiable. Almost single-handedly he has rebuilt the city’s core. For all this he deserves high praise. Since writing my earlier article, though, I have learned that the successful rebuilding of Detroit is a lot more complicated than simply attracting and retaining millennials (not to mention aging boomers such as myself). Of course bringing them to the city is a good thing. Opening stores such as Bonobos, Warby Parker and Lululemon is also a good thing. Opening 100 new restaurants in a three-year stretch is another good thing. And all these good things are happening in Detroit. So where is the problem? What is so complicated? The answer is that Detroit remains the most segregated city in the country, with African-American residents comprising more than 80 percent of the city’s population. And for the most part, the lives of the 80 percent are not touched by these stores and restaurants and rehabbed office buildings and new office towers. This graphic, provided by Detroit Future City, demonstrates starkly the extent of segregation in the region. What would it take to touch the lives of the 80 percent? First, we have to acknowledge that close to half of those people live in poverty, many struggling on a daily basis to get themselves to work and their children to school. In a city where the auto is the prince and public transportation the pauper, many of our citizens do not own cars. A recently completed light rail system connects the CBD to the New Center area in a straight line up Woodward Avenue, Detroit’s main street. As far as it goes this is good, but it doesn’t go very far—about 3.5 miles. The people most in need of public transportation benefit not at all from this spur of light rail. Detroit, at 139 square miles in size, could accommodate the geography of Boston, San Francisco and Manhattan, with room to spare. Within such boundaries no one expected a 3.5-mile light rail spur to make a difference to the neighborhoods where most of the residents live. In November of 2016, the voters in a four-county region narrowly voted down a Regional Transit Authority (RTA) that would have brought, among other features, rapid transit to the major spokes that radiate from the center of Detroit out to the less fortunate neighborhoods. The residents of Wayne County, where Detroit is situated, approved the measure. So did the voters in Washtenaw County, home of Ann Arbor. The suburban counties of Macomb and Oakland, on the other hand, voted it down. It is not clear when and if the measure will again appear on the ballot. One of the many benefits of the RTA would have been enhanced rail service between Ann Arbor, home of the University of Michigan and Detroit. One could well question the impact of such a transportation improvement on the poor of Detroit. What is beyond doubt, however, is that Motown failed to make the finals in the current Amazon HQ2 sweepstakes at least in part because of an inadequate regional transportation strategy. On top of transportation woes, the poor of Detroit suffer from a near total lack of goods and services within walkable distance. A recent study by Street Sense, a Maryland-based consulting firm, estimated $2.6 billion of retail sales leakage—sales that drain away into the surrounding suburbs. Commissioned by the Detroit Economic Growth Corporation, the study suggested that a full $1.6 billion could and should be recaptured by the city. 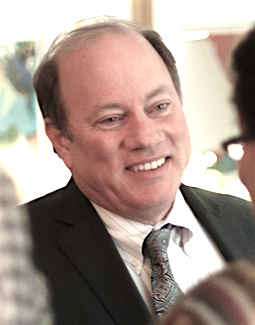 In November of last year Mayor Mike Duggan won re-election with 72 percent of the vote. Mike is a great politician and a great manager—an unusual combination. His career highlights include a tour of duty as the Wayne County Prosecutor and a successful 9-year stint running the Detroit Medical Center. He is honest, hard-working and tough. Assuming office at the beginning of 2014, he embraced quite logically the city center. Private investment from Dan Gilbert in the CBD and the Ilitch Family in the Sports & Entertainment District ensured that massive and rapid transformation would occur—as long as a fractious city council and a city bureaucracy in transition did not stand in the way. The Mayor made sure they did not. Mayor Duggan’s principles are designed to avoid the downside of gentrification—the process by which new construction, higher costs and thus higher prices force the residents who stuck it out during the toughest times to leave once things get better. He is backing up these principles with a $50 million City investment and collaboration with foundations and financial institutions to increase the total to $250 million. If he succeeds, somewhere close to $1.5 billion of new affordable housing will emerge in the 10 targeted neighborhoods. To date, more than 95 percent of the reinvestment dollars that have found their way into Detroit have landed on less than 5 percent of the city’s footprint. Should the mayor’s new program for the neighborhoods succeed, that balance will shift, however slightly, in favor of the 80 percent who deserve to reap a far larger share of the benefits of the city’s resurgence than has so far been the case. 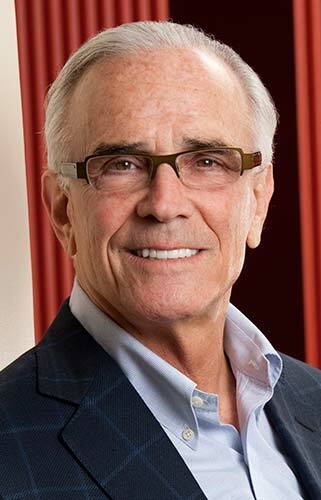 Peter Cummings is the founder of Ram, a real estate management and development company based in Palm Beach Gardens, Florida. Two years ago he founded The Platform, a development and management company dedicated to the rebuilding of Detroit. He is the Chairman Emeritus of the Detroit Symphony Orchestra, and from 1996 to 2005, he spearheaded the Detroit Orchestra Place project that rejuvenated the neighborhood surrounding Orchestra Hall with a $225 million mixed-use development, including a new High School of the Arts. From 2010 through 2013 he hosted a show on Sirius XM that connected classical music to jazz, pop and rock.